This is our newest and most definitive work. It will save lives! It’s all about getting outdoors and safely enjoying nature. Whether you are exploring the Cascade Mountains, the Adirondacks, the Florida ‘glades, or just going for a walk in your local woods, this book is for you. It’s all about getting away from the hectic “human” world and enjoying nature as it should be enjoyed – safely! So whether you are hiking, hunting or just photographing the natural world you need to be prepared. “So our efforts through this book are to keep you safe, help you to enjoy whatever outdoor adventure you want to go on, and to get you home safely at the end of your outing. It’s all about “you and yours”. www.CommonManBooks.com or just call them at: 866-793-0555. Or just ask for it at your local bookstore or outfitter. As you can see by the cover and back of the book, it is VERY different than my first book. 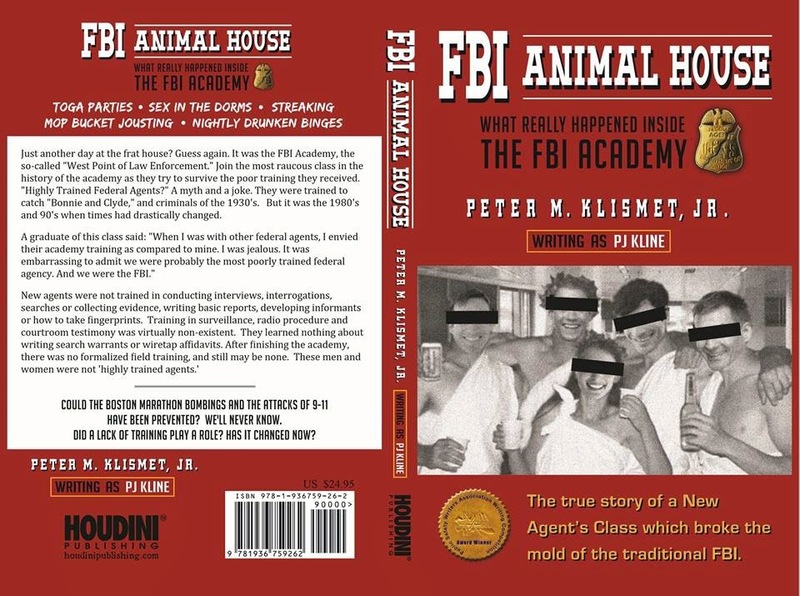 Both are non-fiction, but this one uncovers some ground never-before done plowed - the training (or lack of it) at the FBI Academy. Raucous antics of a crazy New Agents class is only part of the theme. What you may think happened at the FBI Academy may not have happened! Enjoy and stay safe out there!